Mary is the proud owner of Dacey and Partners. Born and raised in Wagga Wagga, Mary is a qualified Accountant, licensed tax agent, and Justice of the Peace for NSW. Being a passionate believer of ongoing and continual education and professional development, Mary is a member of IPA (Institute of Public Accountants) and prides herself on consistently improving her knowledge as well as the service provided to her clientele base. Alongside this, Mary has received the following qualifications; Diploma in Accounting, Advanced Diploma in Accounting, and a Graduate Certificate of Professional Accounting. Furthermore, Mary currently trains and mentors Paige in all aspects of the industry being the youngest member of Dacey and Partners. Mary's goal when she opened the doors of Dacey and Partners in 2011 was to provide a service unlike any of the competitors. Mary's personal values of being friendly, reliable, and approachable are a part of the Dacey and Partners core values today. After successfully being able to maintain a large local and non-local clientele base over her career, she is known today as one of the most trusted and reliable professional accountants servicing the region, driven by her longstanding passion in assisting others to achieve their business and personal goals combined with enthusiasm, honesty and integrity. 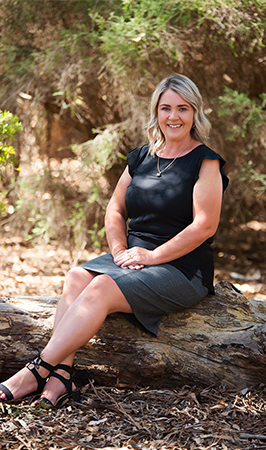 Mary loves, lives, works in, and is committed to the local community, having established two successful family businesses, and raised three daughters with husband, Sid, right here in Wagga Wagga.